Travelers Point is so optimal to stay in your vacations with your family and friends. They will give you the best service that you have ever got in any other hotel. This hotel is an awesome place to stay when on the vacations. 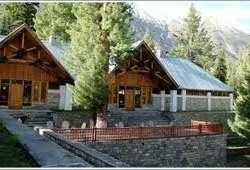 Travelers Point is a one star hotel located at the beautiful location of Gilgit. This is the awesome place to stay in such a cheap prices of the room.